Ran into this one today and was not able to find a solution so when I figured it out I posted it to VMWare and of course here. The Problem: When trying to Manage VSphere using the Web Client on a Mac you cannot open a console: No error, no dialog just nothing. 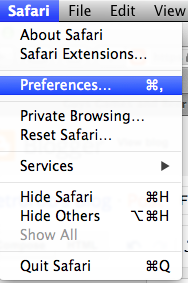 1) Go to Safari --> Preferences. 2) Under Preferences select the Security tab. 3) Unselect the Block pop-up windows check box. 5) Bask in your smug greatness.